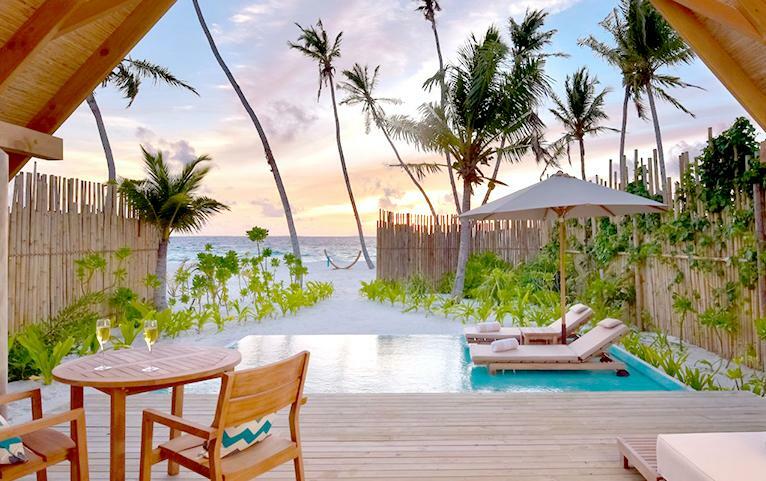 Located in the Lhaviyani atoll, this island of Maldives harbours some exquisite landscapes. Fushifaru is situated between two channels that connect the atolls inner lagoon to the outer sea. The historical and natural diversity of the place come alive from its three amazing dive sites in the southern channel. 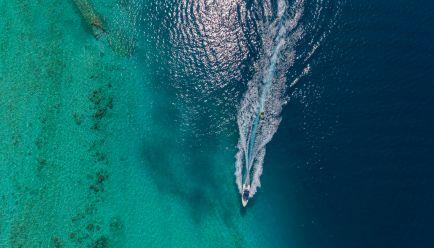 The borders of the resort are surrounded by a nationally protected reef. 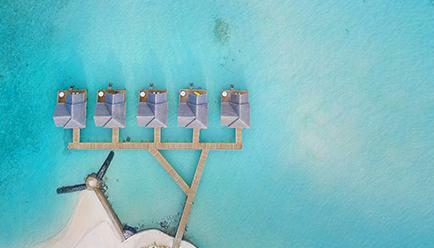 The turquoise water homes in various marine ecosystems, sandy beaches, and vast reefs. 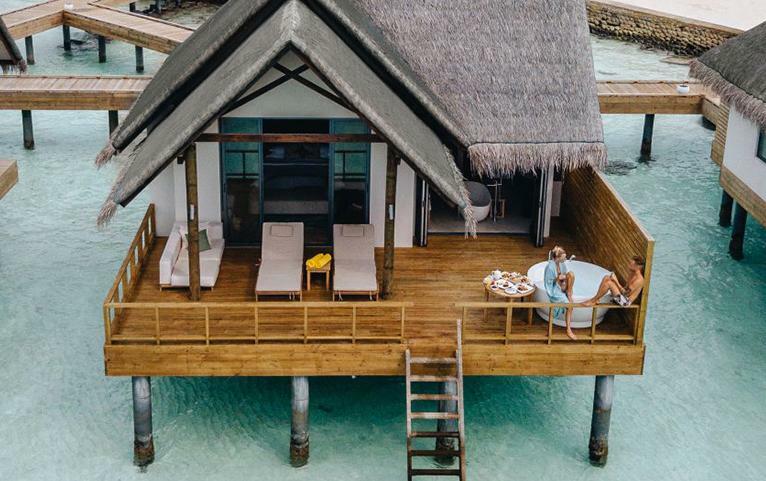 Located just 35 minutes from Maldives, you can reach Fushifaru with a seaplane ride, enjoying a beautiful birds-eye view of the island. Upon arrival, there is lots to do, to say the least! 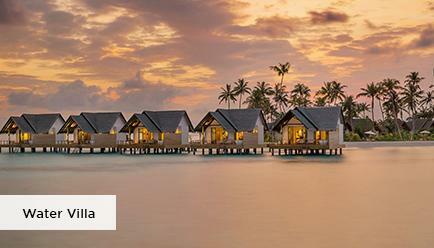 Indulging in regional and international flavours of Asian delicacies, relishing signature cocktails with the best sunset views, experiencing the underwater world are some of the things that are worthy of every penny you spend. All-inclusive upgrades are available, starting from INR 1,75,820. Please contact our Travel Concierge team for further details, by e-mail travelconcierge@fabgetaways.com or by phone +919099061000. From airport to the resort and back - Your roundtrip seaplane transfers are taken care of! The Location – Calm as the sea! 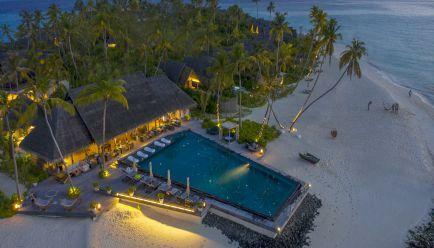 Hands down, the excursions around the property will be the highlight of your trip. Take a deep dive into your underwater expedition. Sail from one island to another and lose yourself to a memorable experience! Welcome to the world of serenity! Here, you will not only discover the aquamarine life but also your own self. Along with making memories to cherish, you’ll enjoy a feeling of reminiscence from the rich history this place treasures. 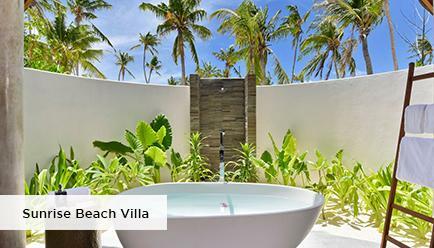 Beach Villa Sunrise- 96 sq.m. 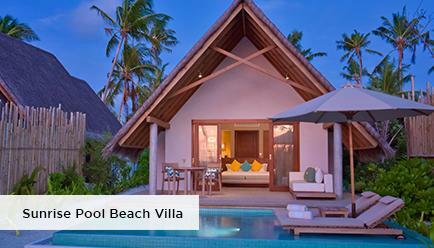 Located on the eastern side of the island, these villas opens to the view of ‘Maakandu’, the vast Indian Ocean. 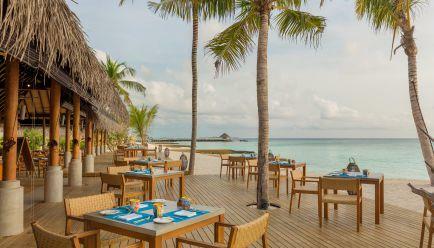 An outdoor bathroom and decking furnished for daytime and night dining, step into the world of infinite possibilities! 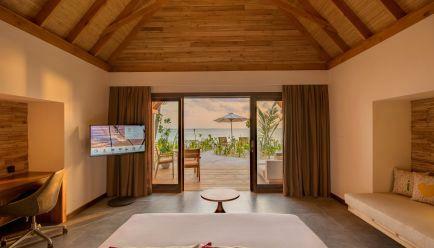 Pool Beach Villa Sunrise: 122 sq.m. 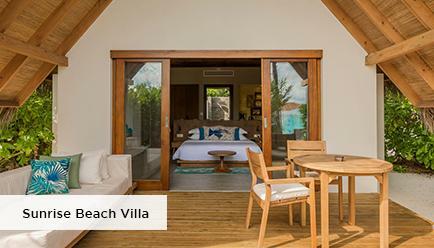 These villas accommodate their own pool and face the Eastern side of the island, in the direction of the Sunrise and have a breathtaking view of the ‘Maakandu’, the vast Indian Ocean. 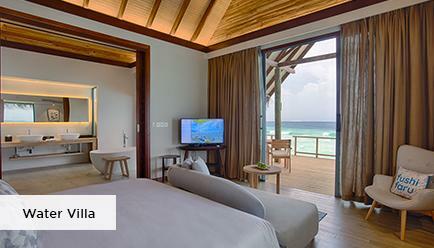 Luxurious room, facing the Kandu-Olhi, with a twist: an outdoor Jacuzzi at your service! 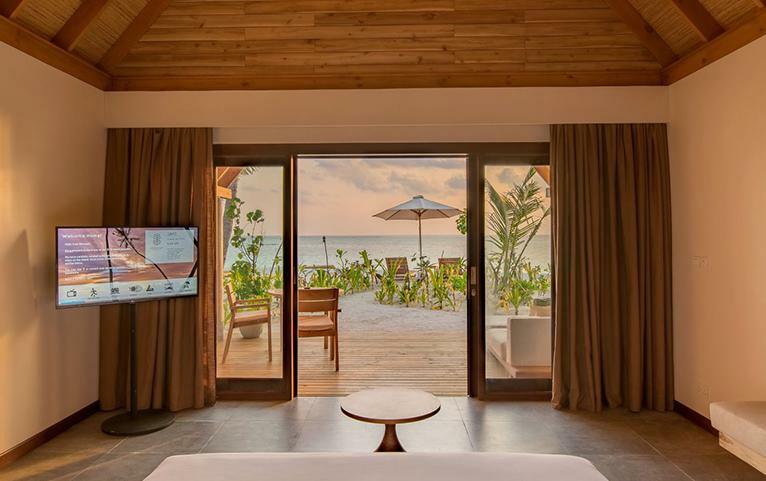 Maximum Guest Capacity: For Beach Villa Sunrise, Pool Beach Villa Sunrise and Water Villa, the maximum room capacity is two adults and two children (aged below 12 years) or three adults. 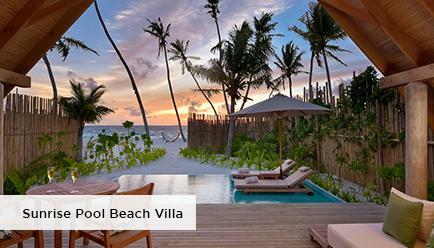 Extra Guest Policy: For Beach Villa Sunrise, Pool Beach Villa Sunrise and Water Villa, an extra adult can stay at a surcharge payable to FABgetaways, with the same package inclusions. 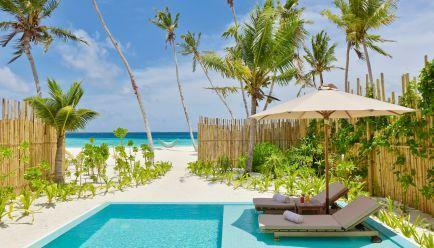 Please contact our Travel Concierge team for more information. 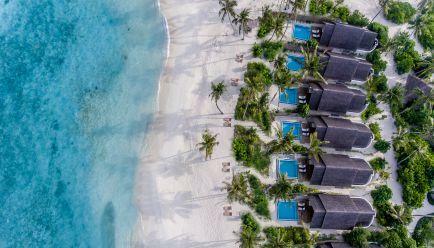 Child Policy: For Beach Villa Sunrise, Pool Beach Villa Sunrise and Water Villa, an infant (up to 1.99 years) may stay and travel free of charge. Up to two children (aged between 2-12 years) may stay and dine free of charge, on the same board basis as the parents. 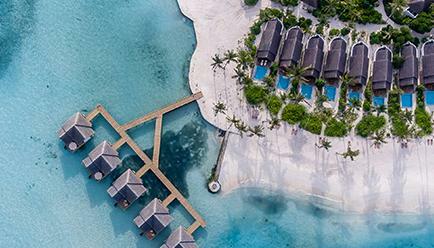 A green tax of $6 per child per night would be applicable and roundtrip seaplane transfers for the children need to be booked separately at a special price of $150 per child, payable directly at the resort. The resort may change split stay sequence, subject to availability. 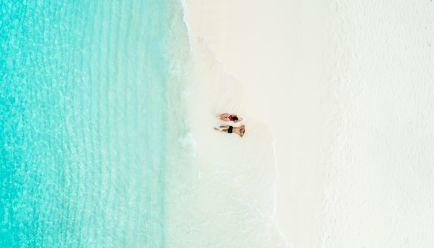 Spa and Wellness: Set yourself free to the alluring Heylhi Spa that reconnects your soul and body and gives you a heavenly feeling. Laundry and Dry Cleaning: Keep calm and the Hotel will take care of your laundry needs. Illy coffee/ espresso machine and tea: A cup of coffee facing the sea! Just the way you have dreamt of it. 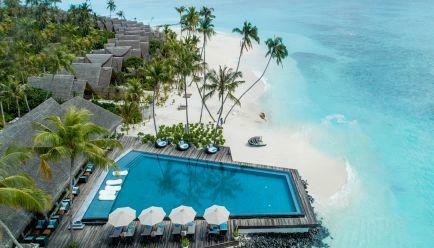 Complimentary island Wi-Fi: Staying connected with your loved ones shouldn’t cost you a fortune! Enjoy complimentary WiFi and roam worry-free. 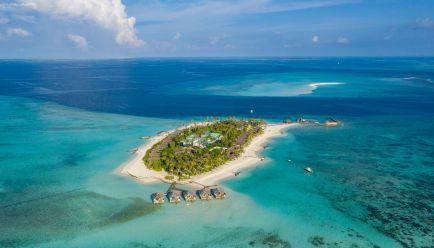 There are direct flights available to Maldives from several cities in India (Mumbai, Bengaluru, Kochi, Chennai, Thiruvananthapuram). 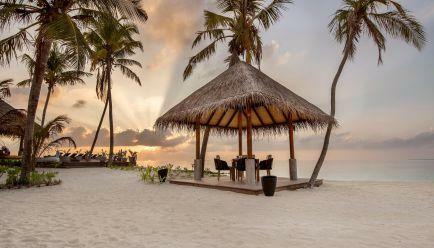 From other major cities in India, there are one-stop flights available to Male International Airport. 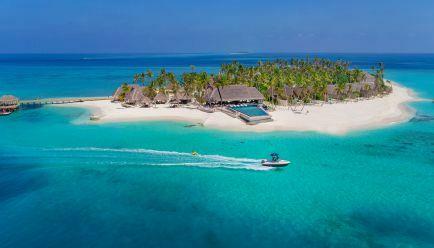 From the airport, you can reach Fushifaru with a seaplane ride of just 35 minutes. Roundtrip seaplane transfers are included in your FABgetaways package.